My goal is simple; to listen, to learn, and to be of service. The recording process has changed considerably in the last few years thanks to advancing technology, and falling technology prices. Many musicians are now able to record and distribute their material without the need for large record companies and recording studios. While it may have proved tough for the “big boys” to adjust to this change, for the small independent musicians such as myself, and I believe for fans too, it has been a very welcome evolution. This evolution allows us to create original art work completely unhindered, and allows our fans to listen to it in the form in which it was intended. Many of my clients and peers run into the same challenges; as they take more and more control of their recording process it becomes evermore important for them to employ some of the tips and tricks used in professional recording studios to get professional sounding results. This is an online resource where you will find articles, advice, insight, and services to help you achieve your creative goals. I’m very glad that you found your way here, and hope that you will find what you are looking for. Please spend some time perusing around, and feel free to drop me a line to say you stopped by – especially with any feedback, ideas or suggestions. If I can be of assistance or support to you in your project, I would be honored to be of service to you. Please drop me a line by clicking here, and be sure to include your phone number if you would like to chat in person. · Musician (Guitar, Drums, Vocals, Keys, and numerous other percussion and world instruments). 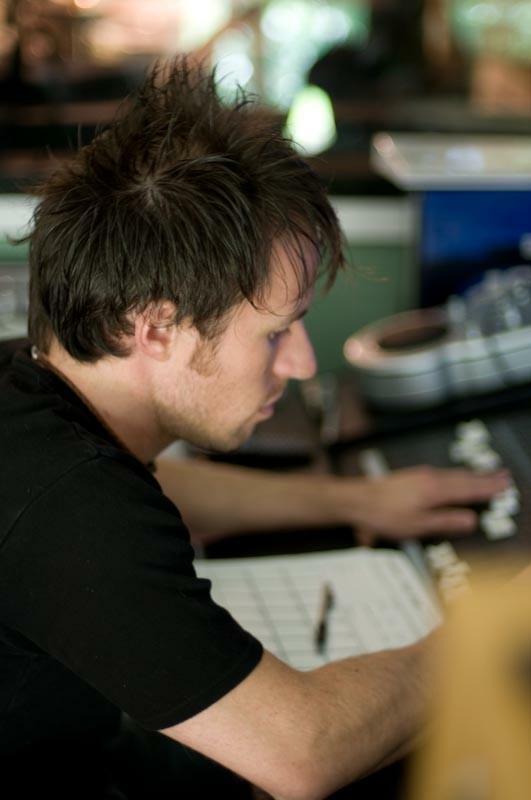 · Audio Consultant – Audio Design, Studio Design, Soundproofing and Sound Treatment. · “Recording Studio Live” video webcast on Ustream.